As Google gets ready to ship the Lego-like Project Ara smartphone later this year, the company wants to ensure relevant hardware is available to coincide with the device’s release. This week Google shared details about a Project Ara store through which users will be able to buy snap-on hardware blocks for the customizable smartphone. Google is relying on outside hardware developers to make Project Ara parts like antennas, cameras, sensors, screens and batteries, which will be sold through the store. Google has taken inspiration from Lego, toy bricks known to kids all over the world. Google will sell a basic smartphone frame, and users can then add or remove features by simply snapping on or swapping hardware blocks on the device’s frame. Google wants the price of the basic smartphone frame to be as low as $50. Snap-on modules would be sold separately. 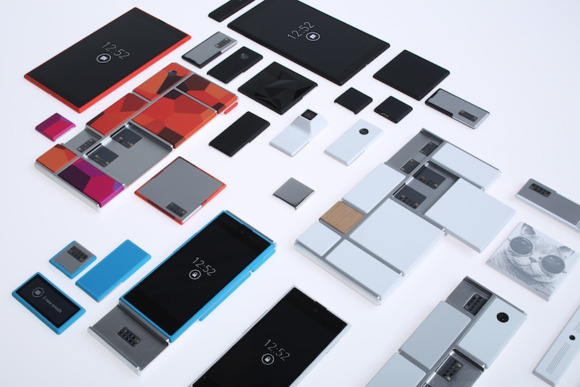 With Project Ara, users don’t have to settle for features they don’t want. If a wireless antenna or camera stops functioning, users just have to change the relevant module instead of replacing the entire smartphone. Google also wants to make phones easy to upgrade. Project Ara will start off as a pilot project, during which time Google will study how the device is used, and iron out kinks. Google has made three smartphone prototypes with different screen sizes. 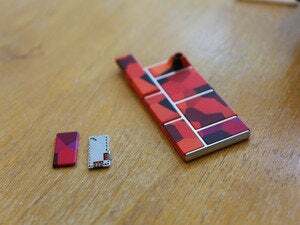 Google is crowdsourcing ideas for Project Ara, and relying heavily on external hardware developers to come up with new concepts for smartphone features. The company’s store will be a one-stop-shop for users to buy Ara modules and for hardware developers to sell their wares. The second version of their Module Developers Kit (MDK 0.2)—released this week—carries further details about the store, module qualifications and payment disbursement. Google says its Ara Module Marketplace store is analogous to the Google Play store, through which apps, movies, music and ebooks are sold. Users will be able to review and rate modules, much like they can rate products in the Google Play store. Developers will have to submit each Ara module to Google, which will verify that it fits within the hardware specifications set in the MDK. Hardware makers will also have to seek regulatory approval from countries in which the modules will be sold. Google hasn’t said whether it would assist in gaining regulatory approval. Many of the module developers are hobbyists, and going through bureaucracy could be a time-consuming and expensive process. That could discourage some hardware developers. Google also said developers will have modules shipped out through vendors pre-selected by Google. Google hasn’t said whether it would help developers get the parts manufactured, though the company has said it is getting some parts 3D-printed through a deal with 3D Systems. Revenue based on module sales will be “disbursed periodically at a set interval,” a document in the MDK said. Google will also provide sales projection and planning tools. Customizable smartphones have been tried before. ZTE in late 2013 announced Eco-Mobius, which has not yet been released. In 2010, Israeli company Modu showed the Brewphone, to which keyboard, speaker and camera modules could be attached. Another idea floated by Eremenko involves a secure module that stores private user information. The module can easily be swapped among Project Ara smartphones, and instantly customizes a phone to a specific user. 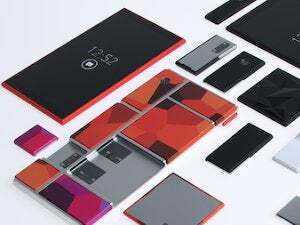 There are also many technological innovations in Project Ara. The modules are based on electropermanent magnets, which can turn on and off without any power bing used. The modules eliminate wires and use inductive coupling for data transfers. A host of new data transfer protocols are being used in Project Ara. Google is working with Linaro to develop a custom version of Android that will support the new hardware and drivers.